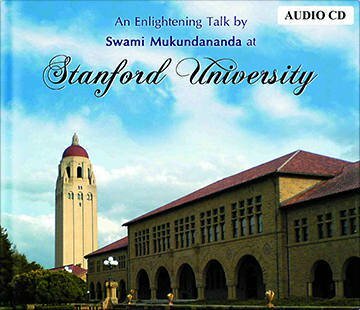 Swamiji was at Stanford University on September 30th, 2011 (Friday) to deliver an enlightening talk on the topic of “Science and Spirituality”. We understand things on the basis of logic, we do not know whether our logic is correct. But we assume it to be so and we are comfortable with it; it could be wrong. Our assumption involves leap of faith. So spirituality says that we are making a different assumption. What are those assumptions that give us a general understanding of the spiritual realm? Nobody wants to be die. Why is this urge to live natural to the soul? The science of spirituality teaches us that God is eternal, He is immortal, without beginning and without end, never was there a time when God didn’t exist and never will there be time when He will cease to exist. Because we are tiny parts of the immortal-eternal God, we too have this desire for immortality. Watch the last part of the lecture “Science and Spirituality” at Stanford University by Swami Mukundananda, for more on the topic.